Well, that's my culinary nationalism post of the day done. Also, one of the most beautiful books you could ever read on Fez, or on Sufi Islam for that matter, is Titus Burckhardt's amazing Fez: City of Islam. 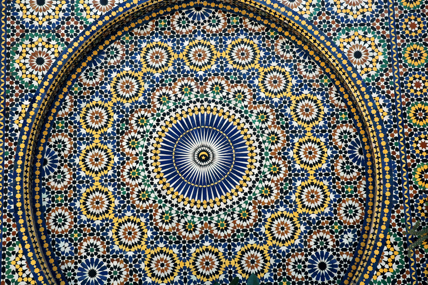 Below: detail from a public fountain in Fez.